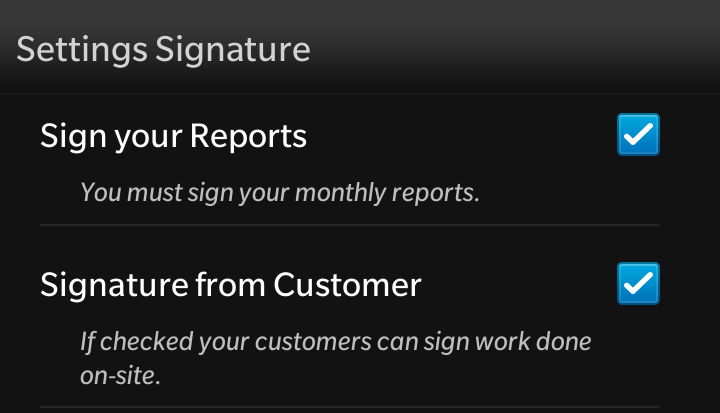 TimeTracker can use the Touch Screen to get a signature and to store the signature together with a report or tracked time. Only if checked the Actions will be visible for the user. More Info here about Signatures.